Hello! 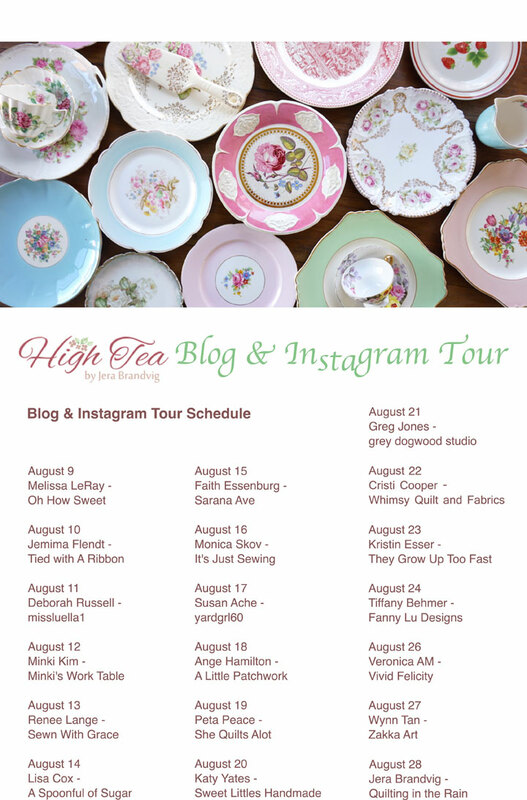 I am back with a recap of my week 2 High Tea blog hop guests! 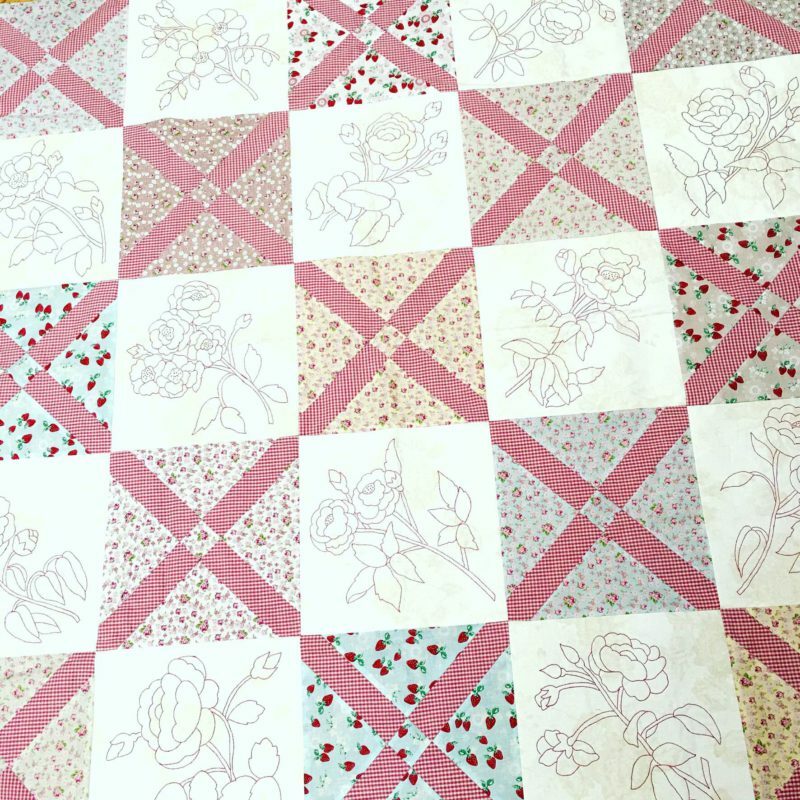 This is a great way for you to see all the projects that were revealed last week (week 2), and for me to document all of these beautiful creations on my blog. You can review Week 1 here, which was absolutely breathtaking. Thanks for following along, and thank you so much for your kind comments on my last post. 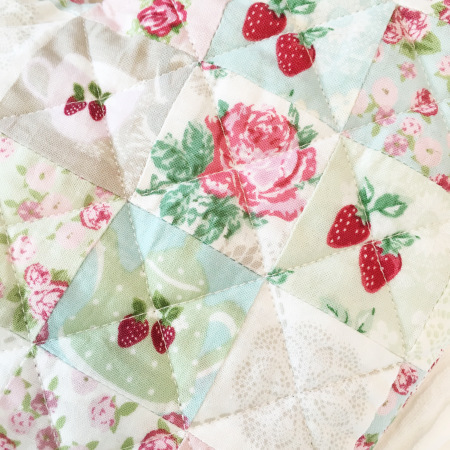 It’s great to hear that this blog hop has given some of you fresh ideas and opened your eyes to other creative bloggers. My week 2 High Tea guests are as follows. 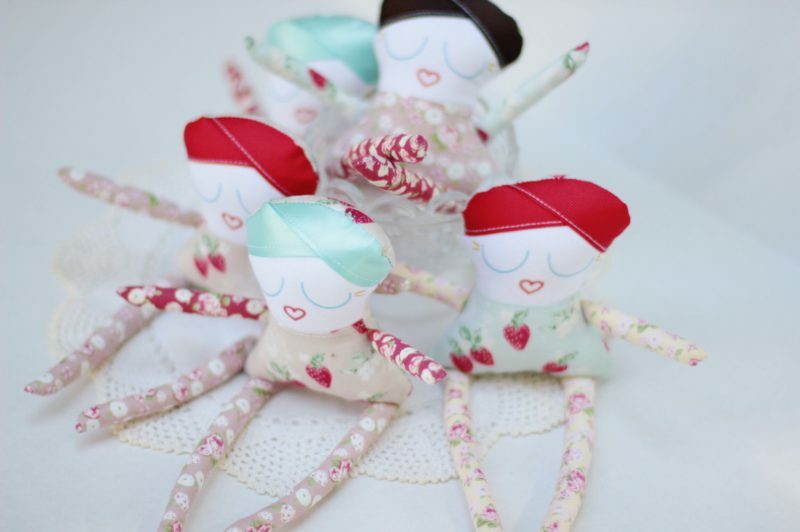 I sent each of them fabric from my new collection called High Tea for Lecien Fabrics, and they all made some lovely projects out of them! I’m writing on a time crunch trying to get this done before my kiddos get home, so I’ll get right to it! 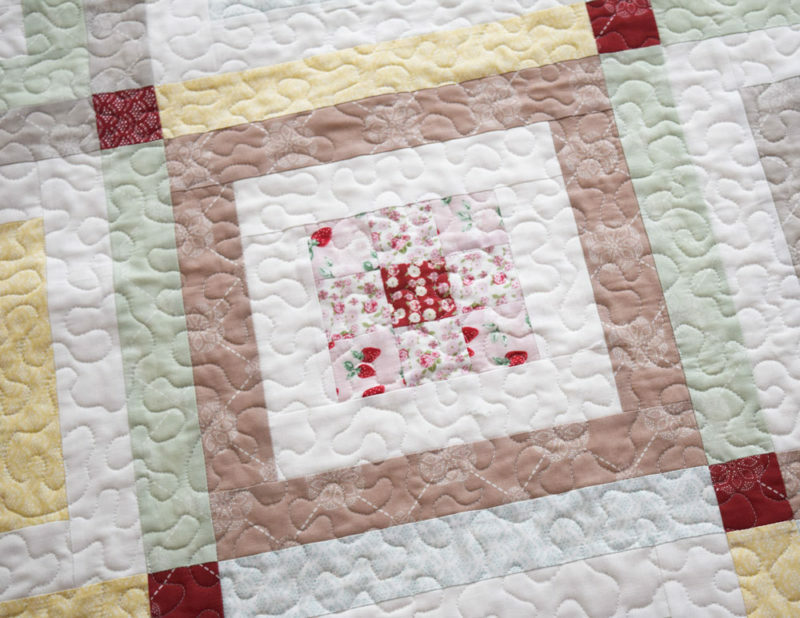 Get ready for yet another heavy dose of quilting and sewing inspiration! 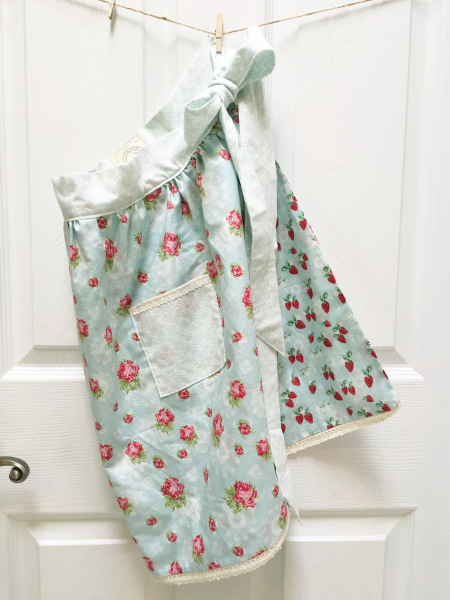 On 8/15 Faith Essenburg of Sarana Ave shared this super sweet reversible apron and oven mitten. 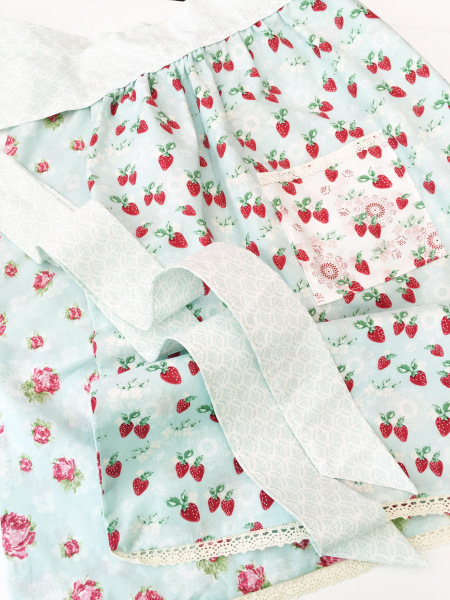 Faith used the cottage blue colorway for this apron. Please check her blog for a fee tutorial! 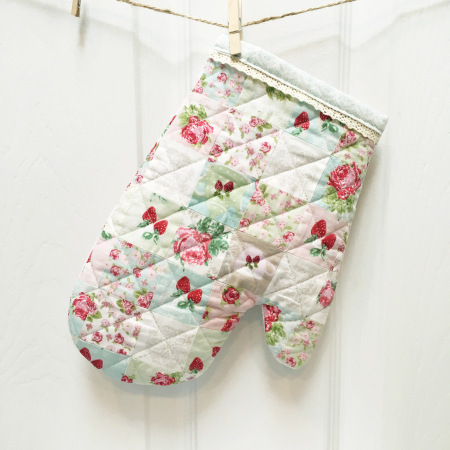 This oven mitten is so darling and if it were mine, I would never use it. I would oogle it instead. Too cute to use! 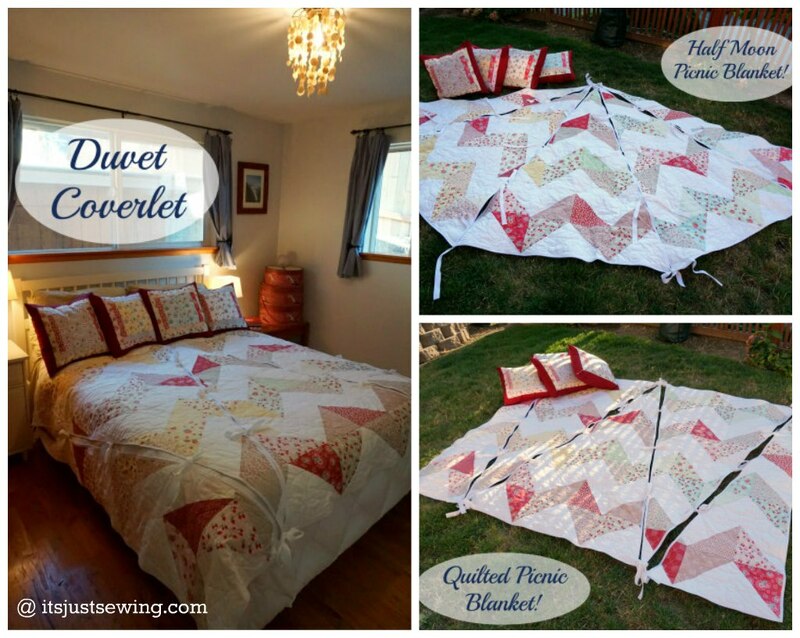 On 8/16 my dear friend Monica Skov of It’s Just Sewing made this incredible quilted teepee that can also be used as a quilted duvet cover. How creative is THAT?! 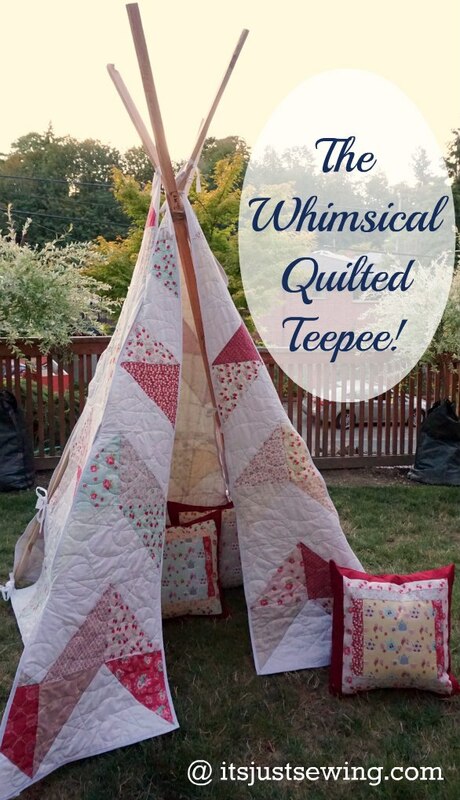 Find a thorough tutorial for you all on how to make this teepee over at her blog, here. Monica and I became good friends back in 2012 when I worked part time at her sewing studio in West Seattle. Although the studio is no longer around, I have some wonderful memories there. 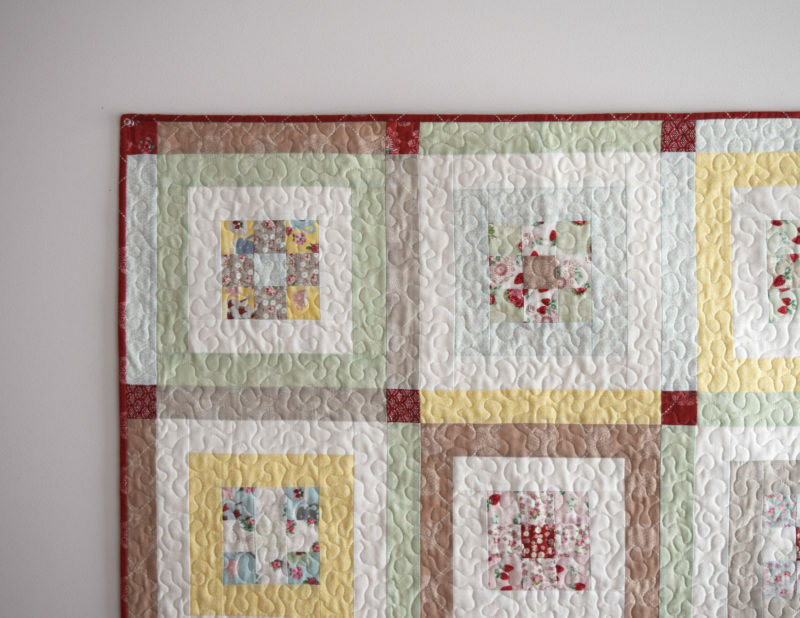 Her studio really stirred up my creativity, and is where the birth of my first book, Quilt As-You-Go Made Modern, began. Monica and my husband encouraged me to write a book, and so I did! Susan made the stunning quilt above, with embroidered floral blocks. 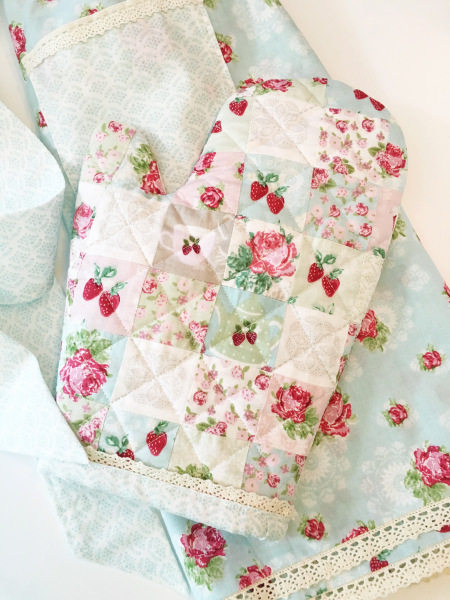 I’m honored she chose my fabrics to pair with these gorgeous embroidered blocks! 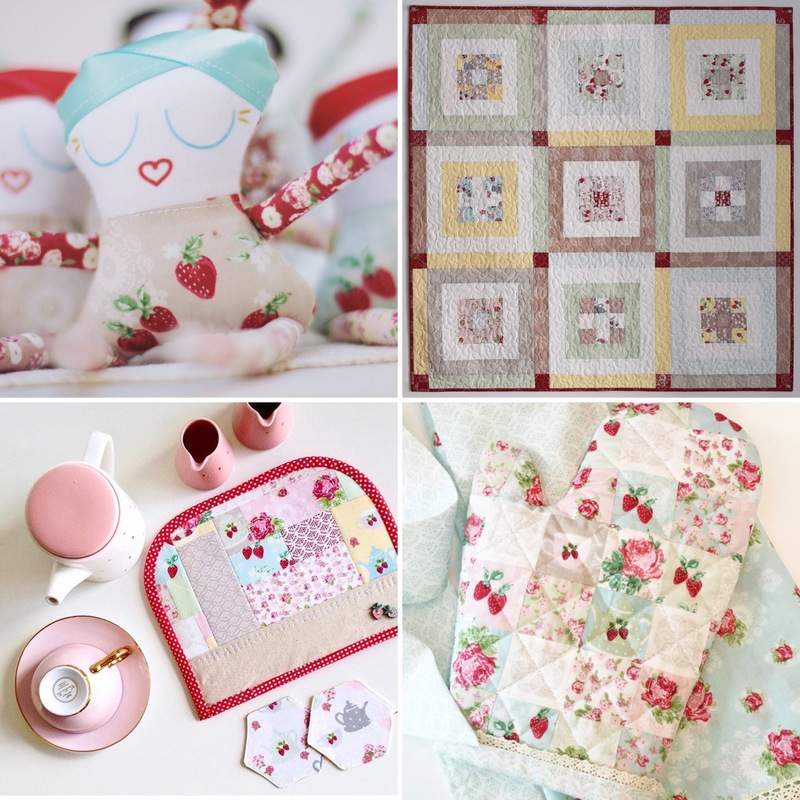 On 8/18 I had Ange Hamilton of A Little Patchwork as my High Tea guest. 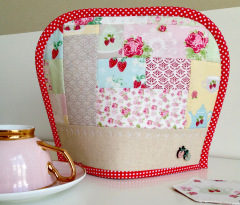 Ange made this adorable patchwork tea cozy with a dresden plate on the back. Please see her blog for pattern details. On 8/19 the very talented Peta Peace of She Quilts A Lot shared this incredible quilt. Lucky me had the pleasure of meeting Peta at Spring Quilt Market, and I regret not having more time to chat with Peta amongst the hustle and bustle of it all. 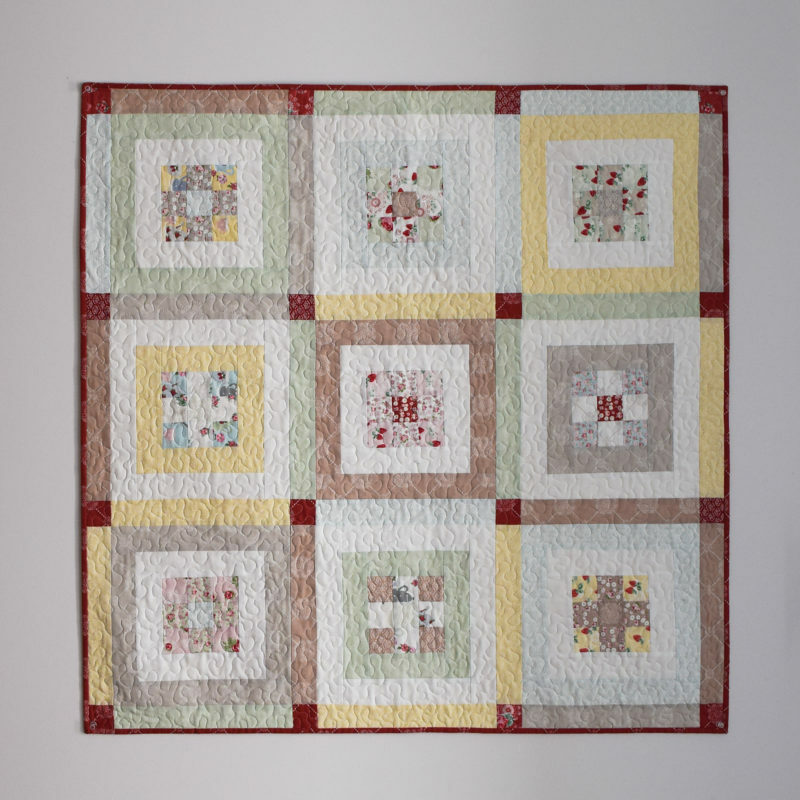 Peta took the time to write a free tutorial for this quilt which you can find HERE. It’s a beautiful, well-written tutorial so please check it out. I love how different everyone’s creations have turned out so far. 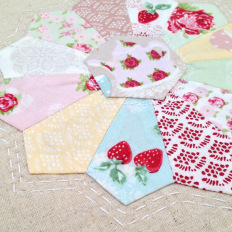 Earlier I described this quilt looking very “sophisticated and proper”, just like High Tea! 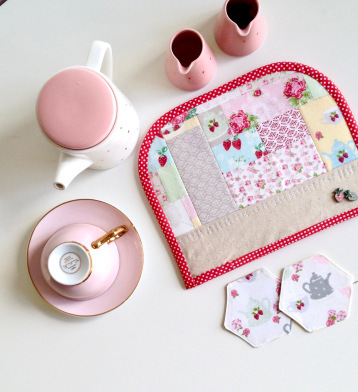 ;-p Peta used my doile print which is more of a solid, from my High Tea Collection. 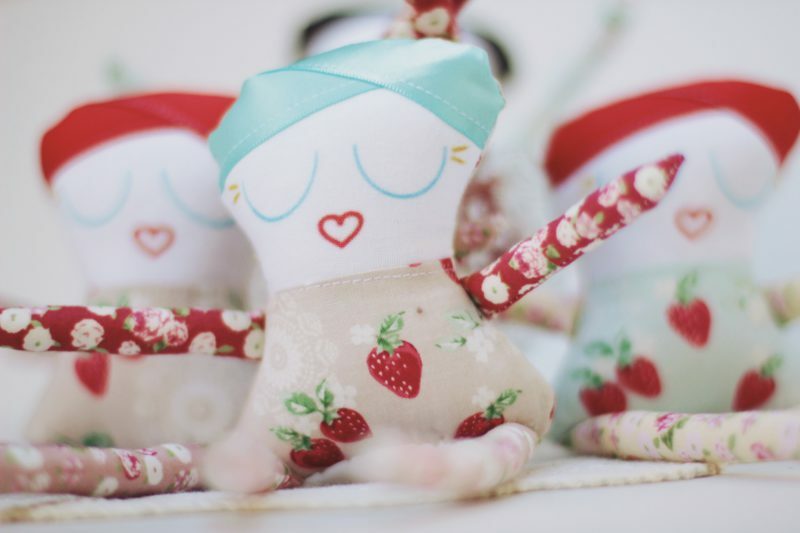 You can purchase these sweet littles at her shop, Sweet Littles Handmade. Whew! Wasn’t that a load of inspiration! 🙂 I hope you’re enjoying the blog hop as much as I am. Seeing people make things out of my fabric is truly an honor. Still to come on my High Tea Blog Hop is as follows. Click here for links to all the maker’s blogs. Please stay tuned for my final week 3 recap. 🙂 Thanks for stopping by!